First live pictures of Swiss made smart watch. 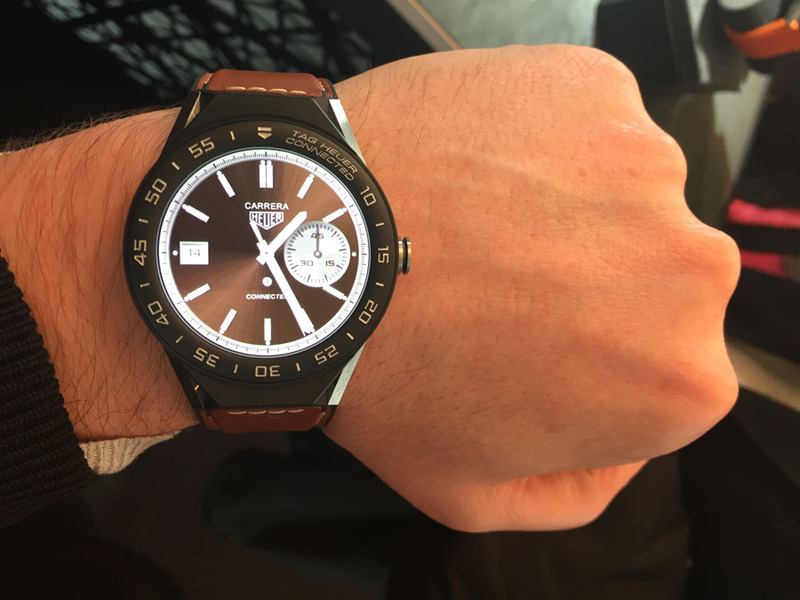 TAG Heuer presented his second generation of the Connected Watch today, on 14.03.2017. The Modular 45 can be customized from the outside as well as from the inside. 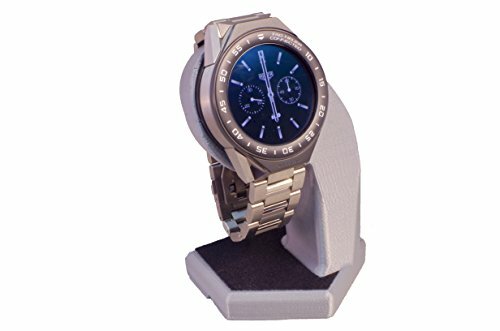 This means that the tape, the tape jacks and the body corpus including the bezel are available in different colors and materials. The housing body measures 45 millimeters in diameter and is made of titanium. When purchasing the Modular 45, the customer first has to decide for a given variant. 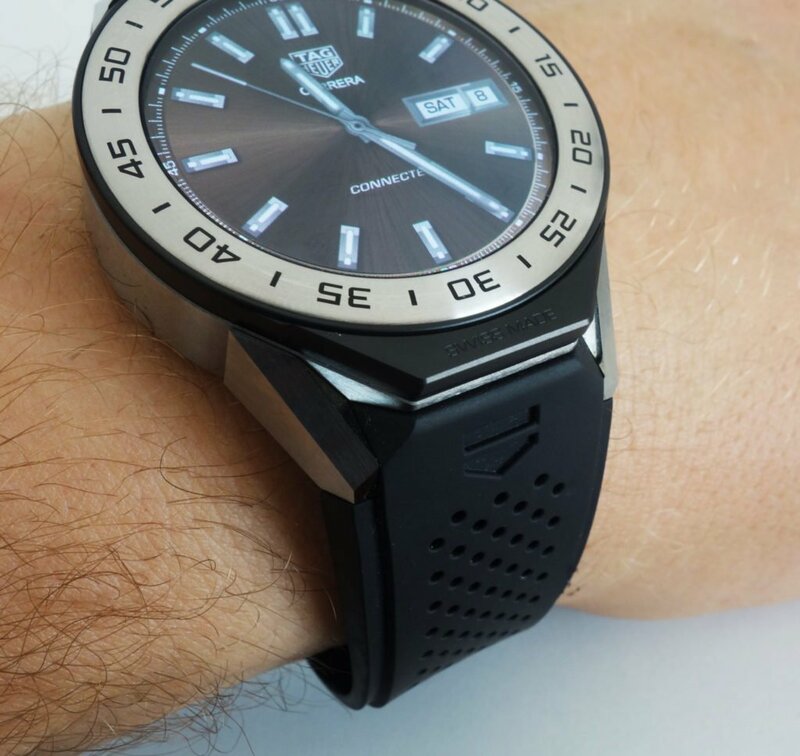 For example, TAG Heuer offers the body made of titanium together with a stainless steel bezel and a colored rubber band. This is the basic variant for 1,400 euros. 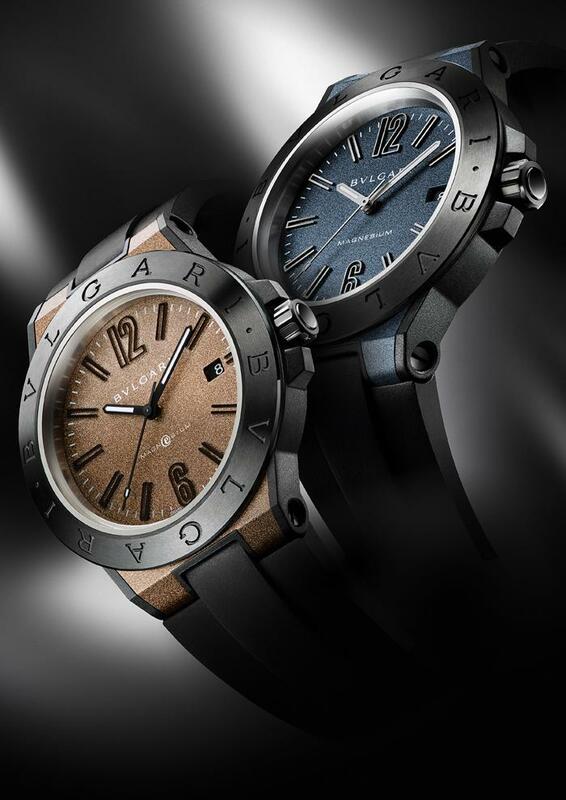 If the bezel consists of colored aluminum, the customer can choose between a rubber strap in black or orange (1,700 euros), a black leather strap (1.800 euros) or a titanium bracelet (2.300 euros). 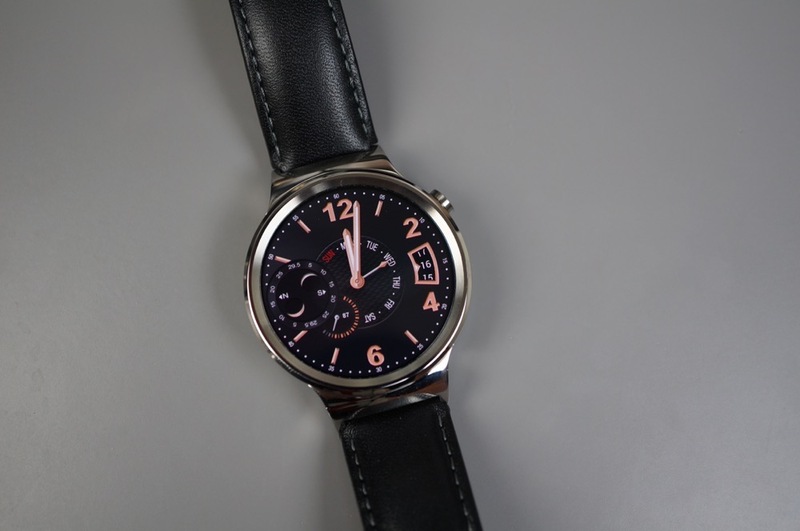 It is even more expensive with a ceramic bezel and alternatively black ceramic coating for the band impact as well as various gold coatings or diamond trim. 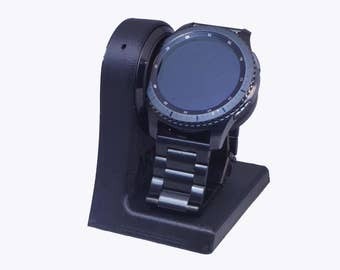 After purchase, it is possible to purchase bracelets, belt pushers and shutters individually and to exchange them with a simple plug-in system. 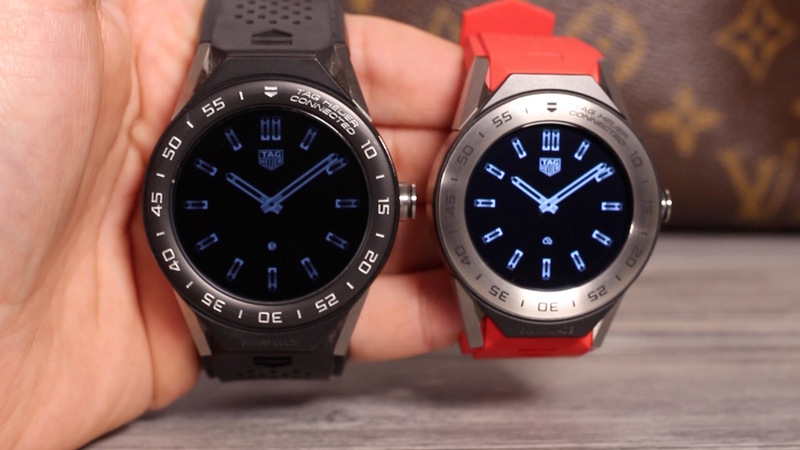 Technically, TAG Heuer in collaboration with Intel and Google, the Connected Modular 45 has missed an update compared to its predecessor. For the first time, the new model has GPS, which makes it possible to track sporting activities without a mobile phone. The connection to the smartphone is made via Bluetooth or WLAN. In addition, an NFC chip was installed, which allows the mobile payment via Android Pay. The operation and readability of the Modular 45 has also been improved: the AMOLED display with high resolution is now well readable even under strong sunlight. 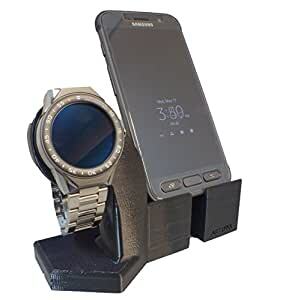 Thicker sapphire glass prevents a quick scratching, as the Connected Watch is still operated mainly by wiping and pressing on the display. 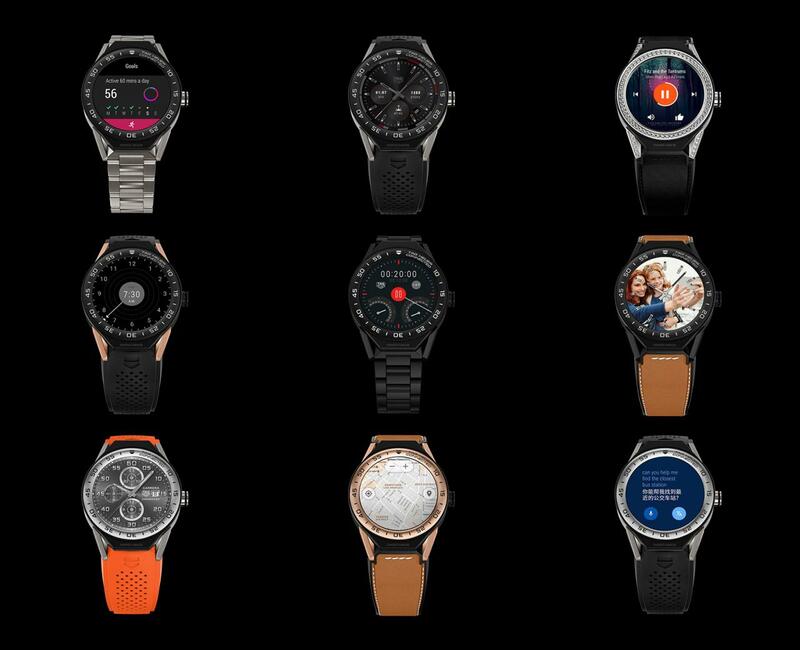 The functionality has also expanded thanks to Google Android Wear 2.0. 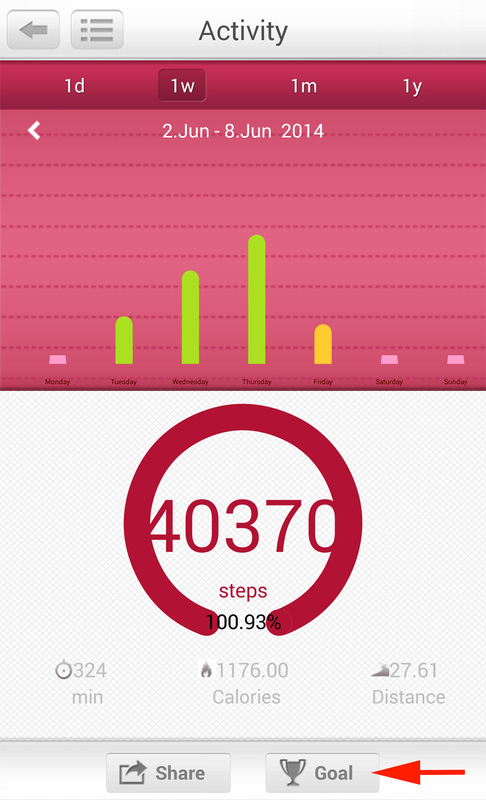 Particularly pleasing to iPhone users: These now as Android users can use all available apps. There are no restrictions. If you want more than the included features, you can simply download the app from the app store. This is then stored directly in the memory of the clock. 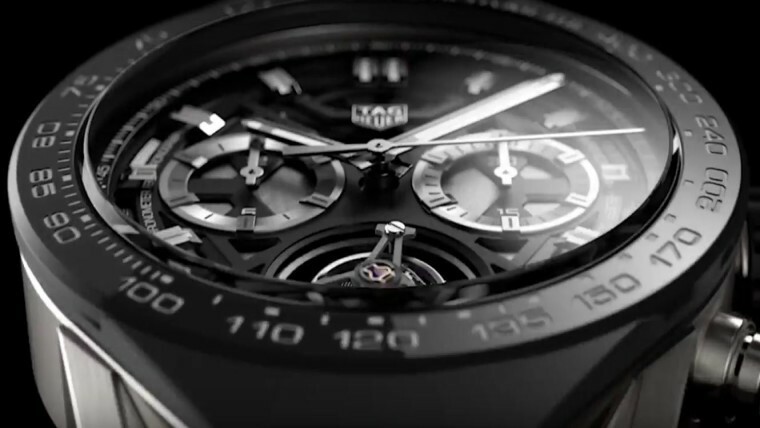 The real highlight, however, of why the watch is now Modular, is in a further exchange possibility: TAG Heuer also offers two mechanical modules from the Carrera collection in addition to the Connected module (ie the body carcass with the Smart watch). On request, the customer can make a three-piece model of the Carrera Caliber 5 or a TAG Heuer Carrera Caliber Heuer 02 Tourbillon by means of the simple change-over system from his Smart watch via computergees.com . 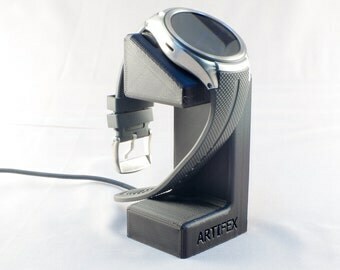 The latter is already available in a set with the Connected module for approximately 17,900 euros.